our estimates of sustainable yield. What it boils down to is that many fish species are comprised of distinct stocks, and to understand and manage optimally, stock-level information is needed. Of course, genetics has led the way over the past few decades in determining amounts of population mixing. This is critical for conservation and other purposes, but we also know that just a few migrating individuals can effectively homogenize a population from a genetic standpoint. Some researchers have looked to vital rates to distinguish populations—those groups with different growth curves or proportions mature at age, which are often environmentally influenced. Undoubtedly, this is a good way to classify stocks. However, one new method to stock delineation involves morphological descriptions of fish ear bones, or otoliths. Otoliths are ubiquitous in fisheries research. They are collected primarily to age the individual (most otoliths accrete rings, like a tree, that can be enumerated; see below), but new and interesting uses are being pioneered in order to help advance different aspects of a fish research. 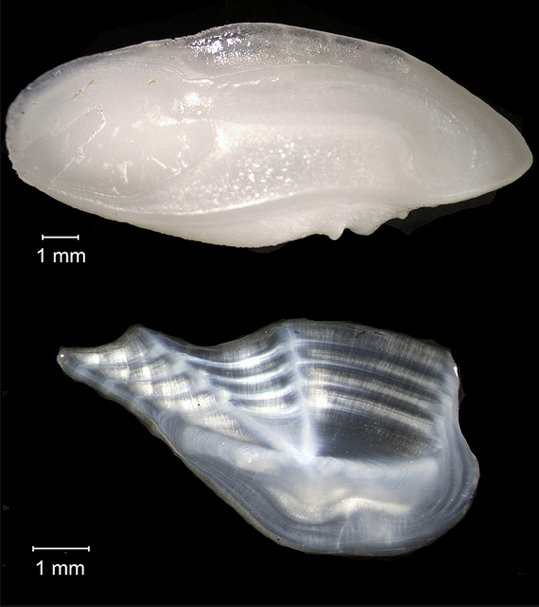 (If you’ve been to this blog before, you may have even read about otolith microchemistry.) Otolith morphometrics—the conceptually straightforward task of describing the shapes of otoliths—is an emerging use of these bones to help delineate fish populations. There are some straightforward ways to morphologically describe an otolith in 2 dimensions, such as length, width, area, and perimeter. To take it one more level, indices like circularity, rectangularity, and aspect ratio can be calculated from the initial measurements to further describe otolith shape. These indices alone may provide evidence for some structuring; however, most shape analytical approaches also include what are generally called outline methods. Outline methods are exactly what they sound like, but with some more complex math. One of the most common approaches to outline methods is elliptical Fourier analysis. (To any mathematicians who read this blog, 1) yes, this is based in Fourier Series, and 2) apologies for my general lack of additional mathematical knowledge.) In a nutshell, elliptical Fourier analysis uses consecutive measurements from the center of the otolith to the perimeter, which are plotted to understand the period function in terms of amplitude and harmonics. Ultimately, a large number of harmonics can be extracted and essentially treated as variables for further analysis for evidence of differences. Reports of otolith morphology are increasing in fisheries journals. Critics of this approach suggest that if the otolith can be had, so can the whole fish, which may provide better indicators of population structure (on the basis that otoliths are not as fast to respond to environmental changes as are other parts of a fish, although this argument has two sides). Other than geographic separation and reproductive isolation, there’s no best way to identify different fish populations, and much of the debate has headed toward advocating for multiple approaches. However, because the otolith is generally considered inert, there is the argument that it’s a conservative measure of population structure, which can be tested morphologically in a short amount of time and for little to no additional cost. You don’t have to look far to see examples of this new method. 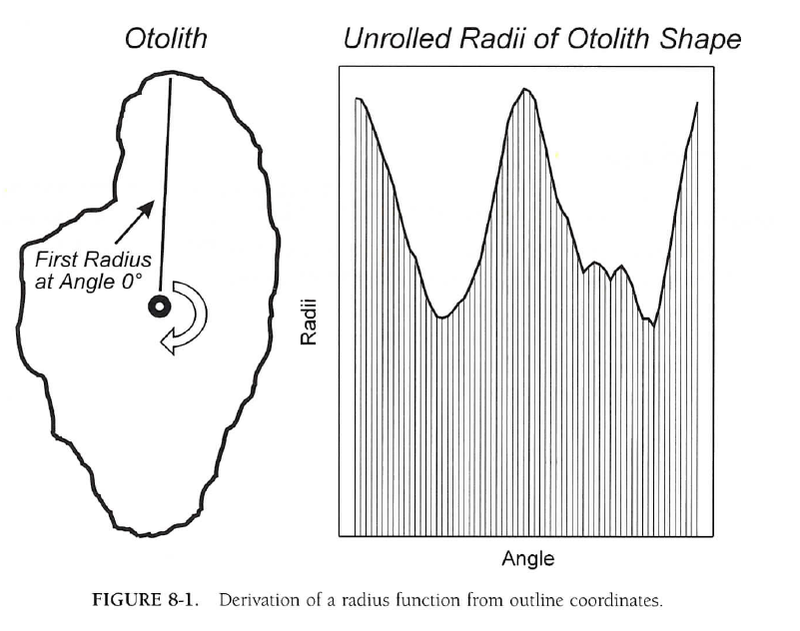 After Campana and Casselman’s pioneering 1993 investigation of otolith shape, many have followed. (See below for some citations to start with, if you are interested.) Otolith shape analysis will not revolutionize the way we study fish populations, but given the frequency with which otoliths are collected, shape analyses could provide critical population-level information for minimal investment. Cadrin, SX and Friedland, KD. 2005. Morphometric outlines. In S. X. Cadrin, K. D. Friedland, and J. R. Waldman (editors), Stock identification methods: applications in fishery science, Elsevier Academic Press. Campana, SE and Casselman, JE. 1993. Stock discrimination using otolith shape analysis. Canadian Journal of Fisheries and Aquatic Sciences 50:1062–1083. DeVries, DA, Grimes, CB, and Prager, MH. 2002. Using otolith shape analysis to distinguish eastern Gulf of Mexico and Atlantic Ocean stocks of king mackerel. 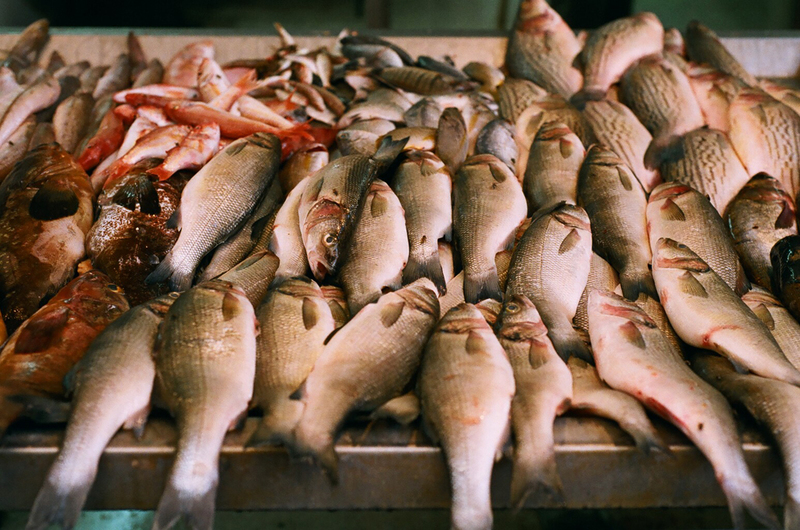 Fisheries Research 57:51–62. Duarte-Neto, P. Lessa, R, Stosic, B, and Morize, E. 2008. The use of sagittal otoliths in discriminating stocks of common dolphinfish (Coryphaena hippurus) off northeastern Brazil using multishape descriptors. ICES Journal of Marine Science 65:1144–1152. Tracey, SR, Lyle, JM, and Duhamel, G. 2006. Application of elliptical Fourier analysis of otolith form as a tool for stock identification. 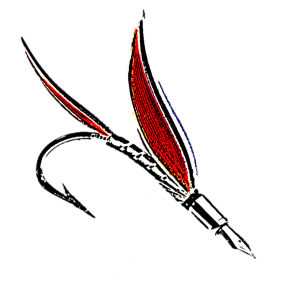 Fisheries Research 77:138–147.